Arm-In-Arm, Virat And Anushka Are Off To Their Next Vacay In A Private Jet! Isn’t it cute, how Anushka Sharma always makes time to give company to husband Virat Kohli (despite her busy schedule) whenever he is flying abroad for a match? The couple has never failed to leave us awestruck with their sweet PDA moments on the social media and we must say that they are the perfect posers! Once again, the couple has made us go all awww with an adorable picture right from New Zealand. Captain Kohli shared the picture after the team’s historic win against New Zealand! Posing in front of a private jet, the couple is giving us some major travel fashion goals here. Virat is wearing an oversized black t-shirt paired with a pair of black jeans. Anushka, on the other hand, has paired her white dialogue t-shirt with white ripped jeans and a black overcoat. We love how they are twinning in their white sneakers. 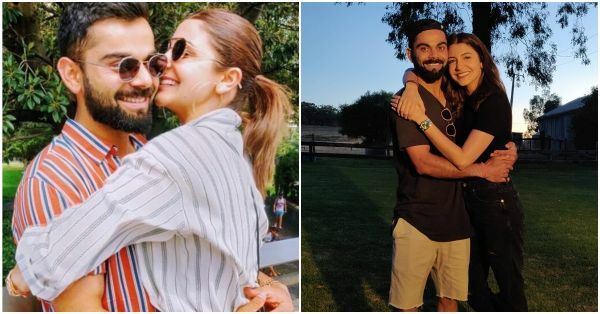 Lately, the couple shared several pictures together from their Australian and New Zealand tours, both of which proved lucky for the Indian team. 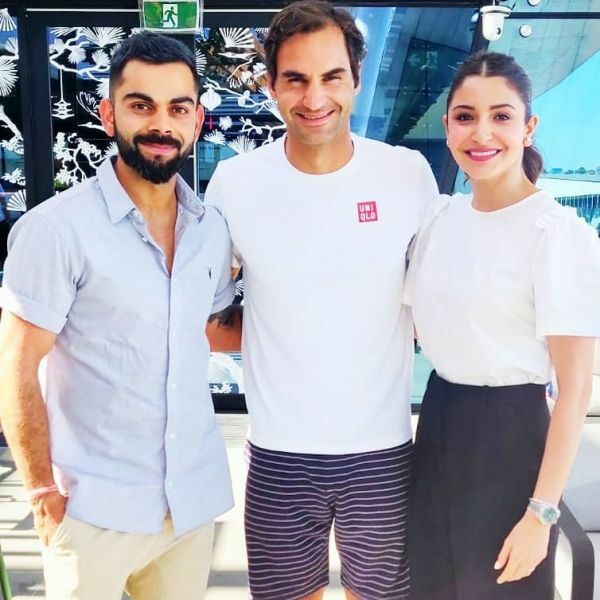 In Australia, they also took a day off to watch the Australian Open and took pictures with Roger Federer. In one of the pictures, a beautiful Anushka is seen sitting on a park bench wearing a denim jacket and white pants and breathing in the beauty of nature. In another picture, she is seen wearing a summer blue dress and a straw hat and posing by the seaside. We wonder where the couple is heading to next? 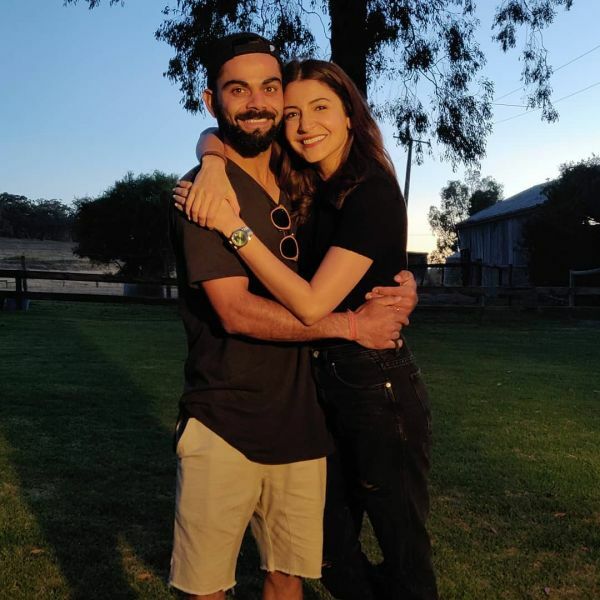 However, with the latest win against New Zealand and Australia, Virat definitely deserves a great vacation with his lady love. These pictures of Virushka are making us want to travel pronto, what about you? On a work front, Anushka was last seen in Anand L. Rai’s Zero opposite Shah Rukh Khan and will next be seen in Kaneda. The film is produced by Anushka and will also star Diljit Dosanjh and Arjun Kapoor. She will also be producing a horror film for Netflix this year.